Here are four favorites that their return has been desired for all summer and one new show that hopefully will live up to the hype around it since it was announced. Season after season, Sons of Anarchy has featured at least one gut punching death scene and the season six finale’s may be one of their most disturbing and heartbreaking to date. The seventh and final season will probably have no shortage of casualties with Jax seeking revenge after the death of one of the most important people in his life. 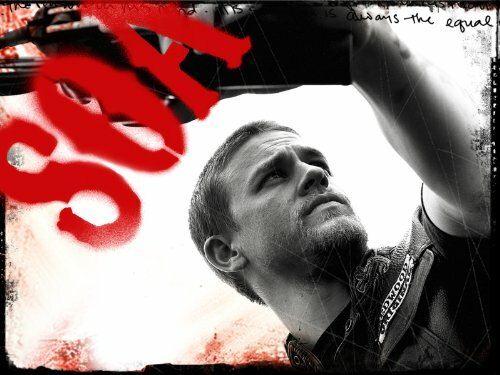 It will be interesting to see what the end has in store for the members of SAMCRO and who will survive. Also, look for Walton Goggins to return as scene stealer Venus Van Dam, plus cameos from Marilyn Manson, Courtney Love and Lea Michele (Glee), during the season. From the looks of this trailer, it is going to be one hell of a ride. Sons of Anarchy starts September 9. Revenge has had some bumps in the road during their seasons, but somehow they seem to turn it up a notch for May sweeps and go out with a bang. The end of their third season featured their best finale so far with a heartbreaking death, a surprise return and Emily gaining the upper hand back from Victoria. Season four will definitely not lack any drama. Revenge bows on September 28.
his show had a slow start, but it sure did a complete turnaround near the end of its first season. Thanks to Captain America: Winter Soldier and the story line that came with it, new life was given to Agents of Shield. The show had a great first season finale and hopefully can keep the momentum going into the second season with the purpose of the team changing after the first season’s events. The main cast will return and joining them will be Lucy Lawless (Xena: Warrior Princess) as a Shield agent and Adrianne Palicki (Friday Night Lights) as Marvel comics character Mockingbird. Shield gets a new time slot and will return on September 23 at 9pm. There is a lot riding on the new season of American Horror Story with claims going around that Freak Show is the show’s scariest outing yet (check out some of the disturbing promos here). The season set in 1952 Florida, will center on a circus freak show and its attempt to keep the business going while evil forces threaten their survival. The cast is a promising one with Jessica Lange, Frances Conroy, Denis O'Hare, Gabourey Sidibe, Sarah Paulson, Kathy Bates, Evan Peters, Emma Roberts, Jamie Brewer and Angela Bassett all returning. Joining them will be Michael Chiklis (The Shield), Wes Bentley (American Beauty) and Patti LaBelle with an appearance by Matt Bomer (White Collar) sometime in the season. Freak Show premieres October 8. This isn’t a returning program, but Gotham is one of the most anticipated new shows premiering this fall. It will follow Gotham police officer Jim Gordon as he tries to help solve the deaths of Thomas and Martha Wayne and strikes up a friendship with Bruce Wayne, before he grows up to become Batman. Gotham will also feature the early days of some of the city’s most famous villains; Penguin, the Riddler, Poison Ivy and Catwoman. The cast looks pretty good with Ben McKenzie (Southland, The OC) in the main role, Donal Logue (Terriers, Sons of Anarchy) as his partner Harvey Bullock and Jada Pinkett Smith as mobster Fish Mooney. Gotham will make its debut on September 22.